If you're going to bring the worlds of rock toffee and beer together, a Belgian dubbel isn't the worst host for your sugary parasite. 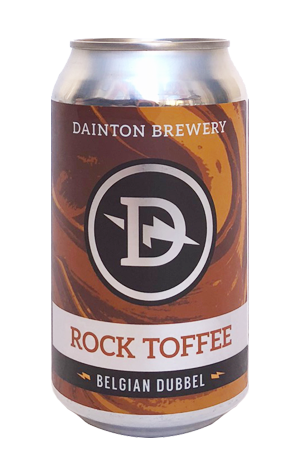 And thus it was that the Dainton team boiled up some toffee rocks in place of candi sugar in creating this one-off. Little surprise that it's an approach that conjures borderline sickly sweet, mouth-coating toffee characters, which are joined by hints of banana, raisin, marzipan and some fruitcake spice. There's a touch of dryness at the finish to add a little balance but, essentially, you could pour this over a slab of sticky toffee pudding or a tub of vanilla ice cream just as willingly as into a glass.